Are you curious about roof recovery Saint Clair Shores MI? Do you need help in assessing whether this procedure will fit your current roofing situation or not? the present, we continue to ensure that every client we serve in St Clair Shores MI receives the best roof recover services. When you say “roof recover”, it is simply the process of adding a brand new layer of roofing over an old one. Since the original membranes are still intact, roof recovery completely seals and waterproofs your property. Eco-Friendly – You wouldn’t have to contribute to tons of roofing waste in landfills. More Savings – Roof recoveries are significantly cheaper than tear-offs and replacements. Our team of roofing experts is well-trained and highly skilled in all kinds of roofing projects especially roof recoveries. With a money-back guarantee system, you are confident that we will give you nothing but excellent workmanship. 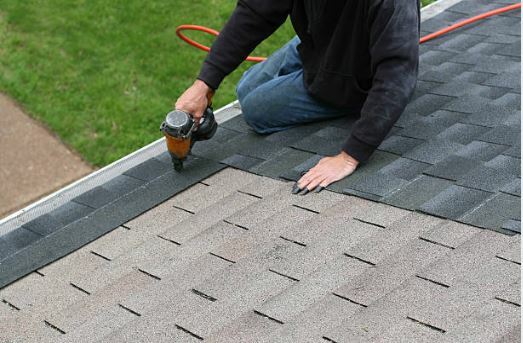 To ensure the success of our roof recovery Saint Clair Shores MI service, we only partner with top-rated manufacturers that supply us with premium materials. One of them is Atlas Roofing – a leader in superior roofing shingles. We also make sure to strictly implement all manufacturer specifications. For your safety and protection, full warranties extend up to more than 50 years. We treat every roofing as a unique case, hence, we craft personalized services to meet clients’ needs. When you work with our local professional team, you will get the best value for your money. Do not delay it any longer… Call us and we will be there! Our roof recovery experts are ready to take on challenges to bring back your roofing’s beauty and stability. Get in touch with us and get your FREE estimate: 248-242-0820.